Director Richard Israel is returning to Actors Co-op to helm the musical Violet. At the Co-op he has previously directed Our Town, The Baker's Wife and 110 In The Shade (LA Stage Alliance Ovation Award Winner for Outstanding Musical in an Intimate Venue), among others. 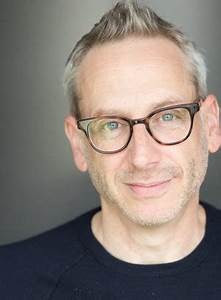 Most recently, Richard was the Theatrical Coordinator for the multiple Emmy-award winning HBO series Big Little Lies, directing all of the Avenue Q sequences in the series. Regional theatre credits include West Side Story, Rent and Floyd Collins (LA Stage Alliance Ovation Awards for Direction and Outstanding Musical in a Large Venue) for McCoy-Rigby Ent. ; Kiss Me Kate and Once Upon A Mattress for Cabrillo Music Theatre; the multiple Ovation award-nominated Having It All for the Laguna Playhouse; and Meet Me In St. Louis for MTW. Intimate theatre productions include Bronies The Musical, The Burnt Part Boys, The Full Monty, Avenue Q, Gypsy, Assassins, Big The Musical and the world premiere of Anita Bryant Died For Your Sins. As a resident director for the Musical Theatre Guild, he has directed Women On The Verge, Do I Hear A Waltz, Road Show, High Fidelity and many others. He is recipient of the LA Drama Critics Circle Award for Career Achievement in Directing. Tell our readers about the musical Violet. Set in 1964, Violet is the story of a young woman who is profoundly disfigured by a facial scar, the result of a childhood accident. She embarks on a quest to have the scar healed by a televangelist, traveling on a Greyhound bus from North Carolina to Tulsa. The show is really a journey to self-realization as Violet discovers that the search for healing starts with ourselves. How different is Violet from most American musicals? What is special about the character and her relationships? Violet is a very gentle musical - it's a small story that takes place over 48 hours, mostly on a Greyhound bus. It doesn't come at the audience with flash and splash - it assumes that an audience is going to sit forward, be present, and listen to the story. There is something about the tone of the musical that invites the audience to lean in. Violet is a flawed and damaged woman, trying to find answers in the best way she knows how. As her relationships unfold, she is indelibly changed by the people she encounters - her relationships with the other characters change her view of herself, and the way she defines herself. What challenges do you anticipate as director? We've chosen to perform the show in 3/4 thrust, which is tricky for a show in which much of the action takes place on a bus. So ... figuring out how to keep the focus where the focus needs to be is a challenge. And because the material assumes a certain willingness on the part of the audience to engage and actively listen, clarity of storytelling becomes that much more important. Do you have a favorite show you have directed? Why this choice? I don't really have a favorite show that I've directed - I guess I love all of my children equally. Floyd Collins will always have a special place in my heart, because the material is so beautiful and I connect with it so strongly. It was also the musical that really launched my directing career, so I owe it a lot. Do you prefer directing musicals to plays? If so, why? I do prefer musicals to plays. In a musical, you are always driving forward to the next song - it's easier for me to plot the peaks and valleys of the storytelling because the songs act as a "safety valve" for the dramatic propulsion. If the song is doing what it's supposed to do, it tops out the dramatic action; then we "reset" and push forward into the next song. In a play, you need to be pushing forward all the way through to the end of the act, which feels more challenging to me. Merrily We Roll Along is actually my go-to favorite musical of all time. It's one of the few musicals that will land on you differently at different ages, but with equal resonance. It's a complicated show that requires attention from the audience, but it's worth the effort and it's a show that, if done right, creates a change in the audience and how they conduct their lives. Tell us about your cast of Violet. We have a beautiful cast of 12, and each one of them brings an openness and honesty to the show that is really gratifying to watch. While the characters of Violet, Flick and Monty do a lot of the heavy lifting in the show, it's truly an ensemble piece, and watching these unbelievably talented performers bring their hearts to this story makes my job really joyful. I am in pre-production for Victor/Victoria, which will be presented as part of Reprise 2.0's inaugural season. I am so honored to be working on this piece - it's another tricky show, but we're assembling an incredible cast and I consider myself lucky to be a part of it. Violet opens Friday, May 11 at 8:00 pm. Runs May 11 – June 17, 2018. Fridays and Saturdays at 8:00 pm, Sunday matinees at 2:30 pm. Additional Saturday matinees May 19 and May 26 at 2:30 pm. Tickets prices: Adults $34.00. Seniors (60+): $30.00. Students with ID: $25.00.Student Rush Tickets with ID one ticket per customer: $17 Cash Only, available at the Box Office window for select Friday performances 45 minutes prior to curtain. To buy tickets or make reservations please visit www.ActorsCo-op.org or call (323) 462-8460. For more about Student Rush Tickets or Group Rates call (323) 462-8460. Actors Co-op Crossley Theater, 1760 N. Gower St. 90028 (on the campus of the First Presbyterian Church of Hollywood) in Hollywood. 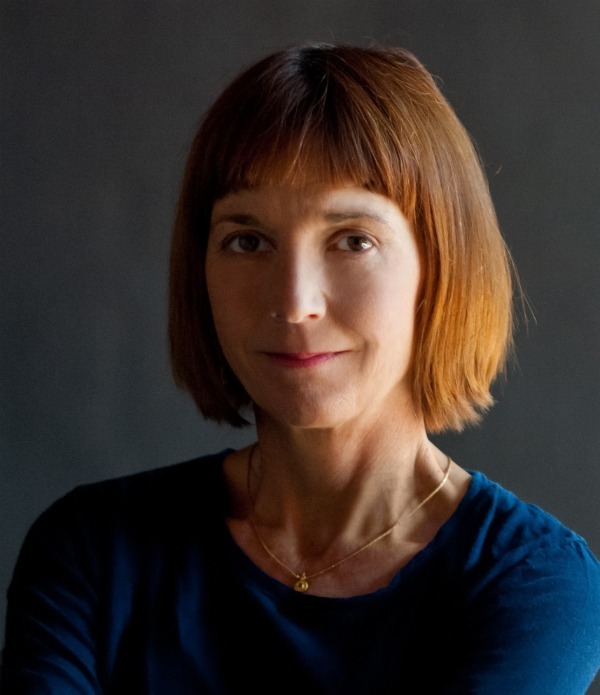 Playwright Jane Anderson was revered for the Baby Dance and is currently represented at the Rubicon Theatre in Ventura with the Baby Dance: Mixed. In our conversation she tells us about the urgency of the updated, practically new play. Will you talk at length about the play and why the update at this time? I wrote the original Baby Dance in 1989 and the main theme of the play was about the class divide in America – white America, that is. The adopting couple from Los Angles were affluent, educated and liberal. The birth couple were desperately poor, uneducated and living in a trailer park in the south. Both couples were white and the conflict between them was cultural and economic. Many years later, Jenny Sullivan, who directed the original production, came to me and asked if I’d be interested in doing a reading of the play with an African-American cast. It was to be a part of a series sponsored by Bonnie Franklin who wanted to do color-inclusive staged readings of plays that originally had all-white casts. I liked the idea but I clearly needed to make some adjustments to the text because the white, southern couple made some very choice racist remarks. I also wanted to make this more than just an exercise in plugging in actors of a different color. So I proposed that the affluent adopting couple be mixed race – an African-American woman married to a white Jewish man. This now posed a whole other set conflicts. This now made the play about the racial divide in America. Last year, Jenny came to me and said that the Rubicon was interested in doing a production of the play with this new concept. So I sat down and did a complete rewrite. I think it’s a much more sophisticated play than the original. Adding race to the mix makes it more complex, more dramatically exciting. And besides that, I’m a much better writer than I was those 20-some years ago. Expound upon how resonant the message is today. Clearly the debate about race in America has taken a whole new turn – with everything from the Black Lives Matter movement to the film industry being called out for its lack of diversity. And of course, now that we have a president who is barely able to conceal his own racist self, the volume is turned way up. Tell our readers about the specific plot differences in the two plays. In the original play, the relationship between Rachel (the adopting mother) and Wanda (the birth mother) is all about two women trying to work through their class and cultural differences so they can form a close enough bond to make this handover of Wanda’s baby as painless as possible. Rachel feels for Wanda but she’s never going to be able to relate to this lower class woman on a really deep level. But in this new version, Regina (formally Rachel) has a much deeper connection to Wanda because she’s been living with a white husband, socializing with white people and she’s now with another black woman. Even though there’s a huge economic difference between them, there is this unsaid thing that they’re sisters, they’re on the same side of things. The stakes are also raised with Wanda’s husband Al. His own despair that he’s unable to support his family is aggravated by the fact that he’s giving up his baby to a white man. And Regina’s liberal Jewish husband Richard is trying to fight his own secret discomfort with the fact that this child he’s adopting will never pass as his own. How has it been working with cast and the company at the Rubicon? Karyl Lynn Burns, the artistic director of the Rubicon, has been unbelievably supportive. She gave us an extra week of rehearsals so I could work on the script with Jenny and the actors. The rehearsal process was pretty profound. I said to our cast, “Look, Jenny and I are a couple of old white broads. Talk to us. Correct us. If there’s something in the script that feels offensive or false for God’s sake tell us.” We had a lot of deep, honest talks and I did a lot of rewriting. Bless them for their talent and for their patience with some of my very naïve white woman assumptions. They helped me keep things true.